I think the video below is a copy of the Milt Kahl animation but there is still charm to it and it is interesting to see. 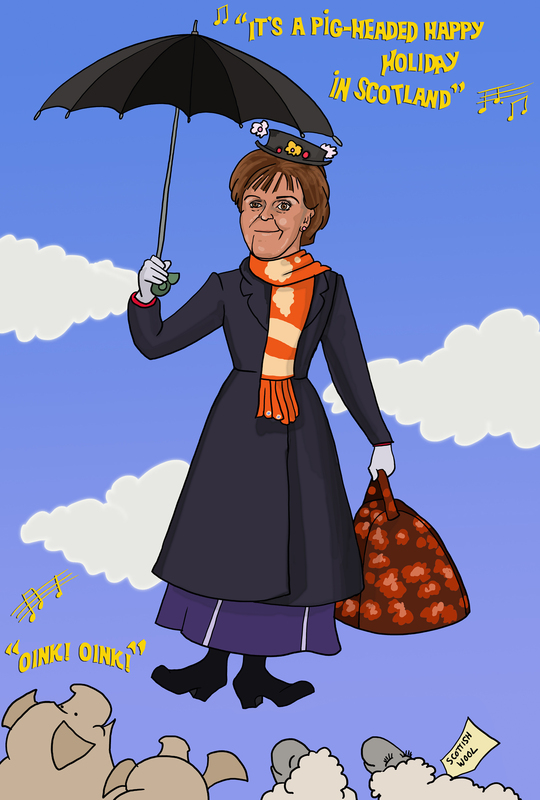 The combination of Nicola and the barnyard scene from Mary Poppins is impossible to ignore. The original scene in the film was sketched by Don Da Gradi and animated mostly by John Lounsbery and Eric Larson. The pigs in the farmyard are really large sausages with legs. They are absurdly simple and deeply charming. The design may be simple but the animation is probably the best ever done in the Disney studios, I think. It is fluid, even on 12s and the scenes which suggest beauty with the sun coming through the trees and the butterflies and deer are astonishing. Without this scene, frankly, and the technical advances in process photography/ what we now call “greenscreen”, there would be no “star wars”. 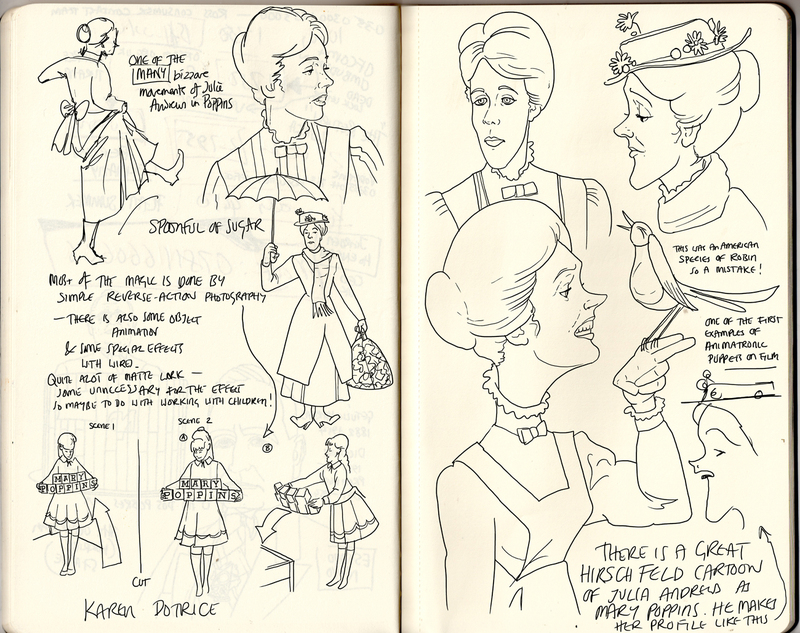 here is a much older page spread from my moleskin. Not the farmyard scene, I know but you can see where I drew inspiration for Nicola’s pose above. Incidentally, it was Julie Andrews who insisted on the turned out feet. Apparently, this was the position in the book illustrations. Previous Previous post: cat drawings and what is a “Fat Cat”?